For more documentation and materials, please visit the EUSDR website. "Sustainable development should also be pursued through an integrated approach to the specific challenges facing particular regions. The European Council accordingly calls for work to be taken forward rapidly on the Commission's communication on the Baltic Sea region with a view to adopting a Strategy on the Baltic Sea Region at its meeting in October 2009. It also invites the Commission to present an EU strategy for the Danube region before the end of 2010." This document contains the official declaration made by the representatives of the Governments of Austria, Bulgaria, the Czech Republic, Germany, Hungary, Romania, Slovakia, Slovenia in conclusion to the Summit held in the Parliament Building in Budapest. The Danube Summit participants have welcomed the decision of the European Council of 17-18 June 2009 to invite the Commission to prepare an EU Strategy on the Danube region before the end of 2010. Posters "The EU Strategy for the Danube Region - Cooperating for sustainable growth and security"
Flowing 3 000 km, the Danube forms the most international river basin in the world. Some 115 million people live in this region, where the economic and social potential is enormous. To face their common challenges, 14 countries together with the European Commission have developed a Strategy for the Danube Region. The priorities at the heart of the Strategy are transport, energy, the environment, safety and socio-economic development. This video highlights some of the projects cofinanced by the EU in the region. The banks of the Danube are home to almost 7000 different species. But this ecosystem, unique in Europe, is threatened by heavy river traffic. To reverse this trend, a network of protected areas along the Danube has been created. The network, called DanubeParks, is composed of 12 members from 8 different countries. Experts launch projects to restore certain parts of the river, to manage floodplain forests and to preserve habitats. The DanubeParks network is supported by the European Commission through the ERDF. Between Romania and Bulgaria has been only one bridge over 400km of Danube. Currently, a second bridge is being built, with two lanes in each direction for road traffic as well as a central railway line. 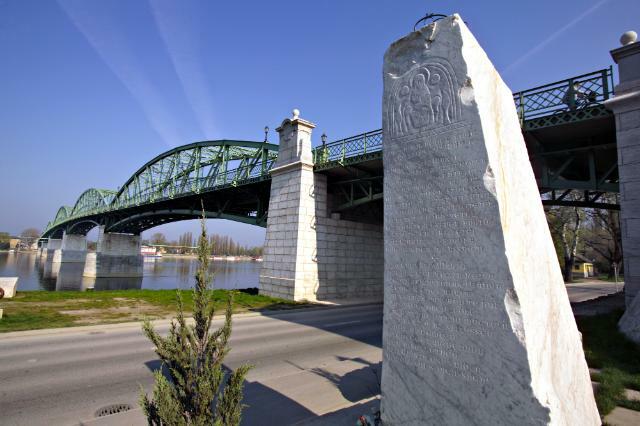 The new bridge between Vidin and Calafat, funded by the European commission, will improve tourism and the economical connections between these two regions. Austria, Hungary and Slovakia are working together with German and Polish experts to have their sections of the “limes”, classified as UNESCO World Heritage sites. In the 2nd century BC, the Danube formed indeed an important section of the borders of the Roman Empire – called “limes” by archaeologists. The project called “Danube Limes” is supported by the European Commission through the European Regional Development Fund. 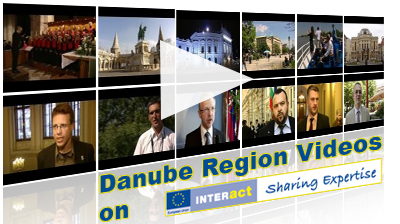 Watch the conference clips of all preparatory conferences to the EU Strategy for the Danube Region and over 70 interviews of key stakeholders! "Győr-Gönyű kikötő RoRo port, Hungary. 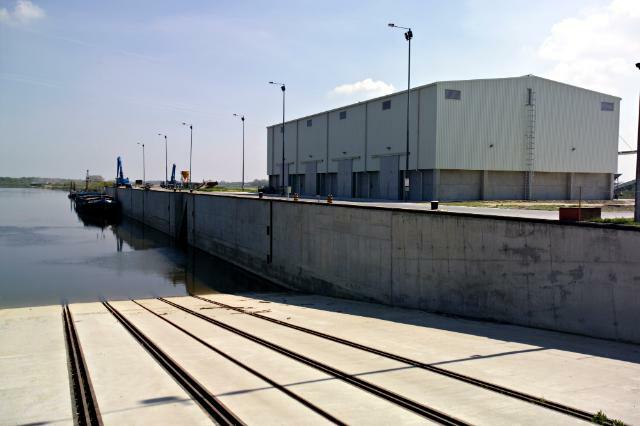 Designed as a RoRo port facility and to handle bulk cargoes transported by barge along the Danube."